Dr. Ofodike Ezekoye is an expert in combustion and heat transfer in high temperature and reacting systems such as combustion engines, furnaces, and structure fires. 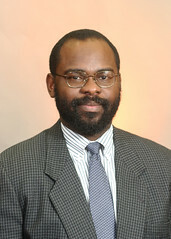 In recent years he has been a pi or co-pi on funded research from the Department of Commerce, AFOSR, and DOE. He has published over 200 journal and conference papers in heat transfer and combustion. His research covers a range of applications from fundamentals of combustion systems to scientific support of the fire service in developing fire fighting tactics. Anderson, A.D. and Ezekoye, O.A., “Quantifying generalized residential fire risk using ensemble fire models with survey and physical data”, Fire Technology May 2018, Volume 54, Issue 3, pp 715–747. Anderson, A.D. and Ezekoye, O.A., “Exploration of NFIRS protected populations using geocoded fire”, Fire Safety Journal, January 2018, Vol. 95, Pages 122-134. Heng, V.R., Ganesh, H.S., Dulaney, A.R., Kurzawski, A., Baldea, M., Ezekoye, O.A. and Edgar, T.F.,. Energy-Oriented Modeling and Optimization of a Heat Treating Furnace. Journal of Dynamic Systems, Measurement, and Control, 139(6), 2017. Roberts, B.C., Jones, A.R., Ezekoye, O.A., Ellison, C.J. and Webber, M.E., Development of kinetic parameters for polyurethane thermal degradation modeling featuring a bioinspired catecholic flame retardant. Combustion and Flame, 177, pp.184-192. 2017. Ding, Y., Ezekoye, O.A., Lu, S. and Wang, C., “Thermal degradation of beech wood with thermogravimetry/Fourier transform infrared analysis” Energy Conversion and Management, 120, 2016, pp.370-377. Overholt KJ, Floyd JE, Ezekoye OA. Computational modeling and validation of aerosol deposition in ventilation ducts. Fire Technology. 2016 1;52(1):149-66. Anzalone, R., Barr, B.W., Upadhyay, R.R. and Ezekoye, O.A., “Use of a Quasi-Steady Ablation Model for Design Sensitivity With Uncertainty Propagation”. Journal of Thermal Science and Engineering Applications, 9(1) 2016. Roberts BC, Webber ME, Ezekoye OA. Development of a multi-objective optimization tool for selecting thermal insulation materials in sustainable designs. Energy and Buildings. Volume 105, 15, 2015, Pages 358-367. He, Q., Ezekoye, O. A., Li, C., & Lu, S. Ventilation limited extinction of fires in ceiling vented compartments. International Journal of Heat and Mass Transfer, 91, (2015). 570-583. Kumar, A., Baldea, M., Edgar, T. F., & Ezekoye, O. A. Smart Manufacturing Approach for Efficient Operation of Industrial Steam-Methane Reformers. Industrial & Engineering Chemistry Research, 54(16), (2015). 4360-4370. Overholt, K.J. and Ezekoye, O.A., Quantitative Testing of Fire Scenario Hypotheses: A Bayesian Inference Approach, Fire Technology, (2015) 51(2), pp.335-367.